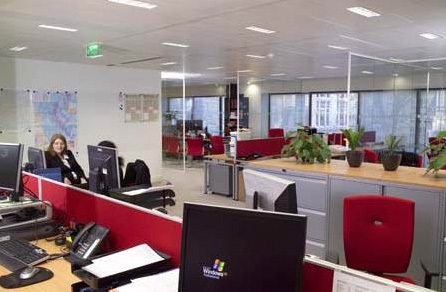 The directors were keen for the new offices to be seen as a creative environment to support the working hours for the entertainment industry. So the keys were flexibility to meet the working preferences. 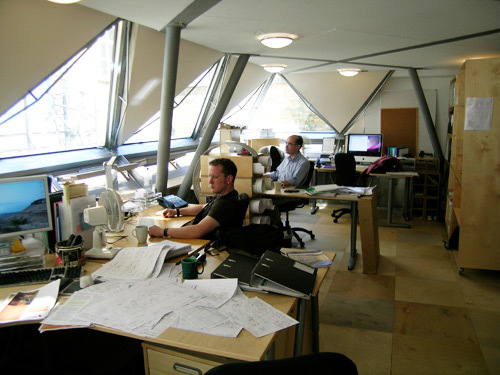 Working with jump architects the design was developed to work around the staff – although the space was not large, we were still able to embrace their different styles of working, together with the more traditional desks. Set in a old warehouse, different textures and finishes were used to distinguish areas and also bring practicality (especially in the bike store area). 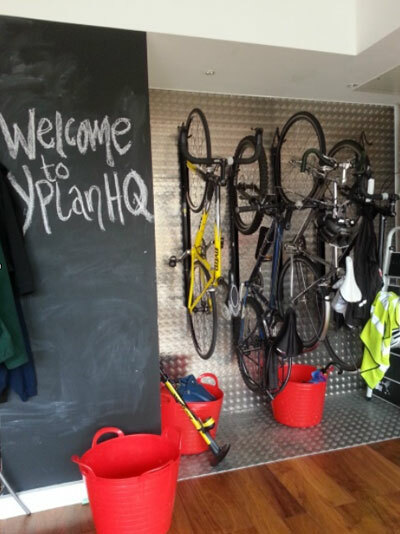 We are pleased to be able to provide the working office to support Y Plan in their continued growth. Initials Marketing are a strategic integrated marketing communications agency. Due to their dynamic growth, Initials Marketing had to find some new space. But as with most growing companies, they did not want a long term property commitment which meant finding a short term lease that gave them flexibility. 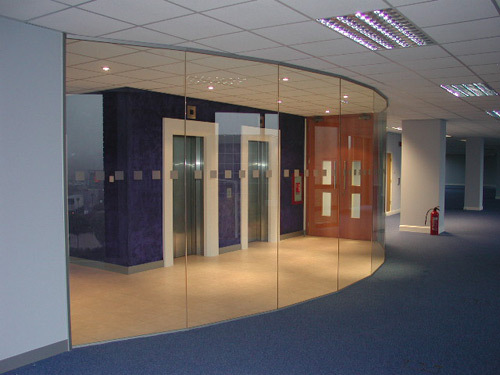 Bearing in mind they were planning to out grow the space, they wanted to balance the investment in the fit out with the need for a quality that reflected their blue chip clients. 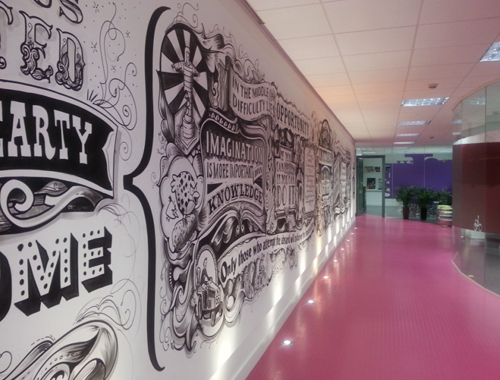 In addition, Initials Marketing wanted to use this space to reflect their company character, and the recognised success within their industry. Branding a space tends to use imagery and bespoke joinery / products – all of which can be expensive. So we decided to use standard products and personalise these for Initials Marketing as a cost effective way of getting as much value for their money. We also used reclaimed furniture, bespoke wall paper and creative textures to give them an unique space. 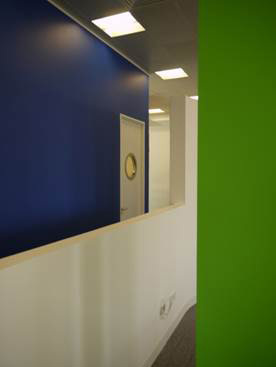 We used these elements in specific places, that gave a refined yet engaging feel to the journey through their office. 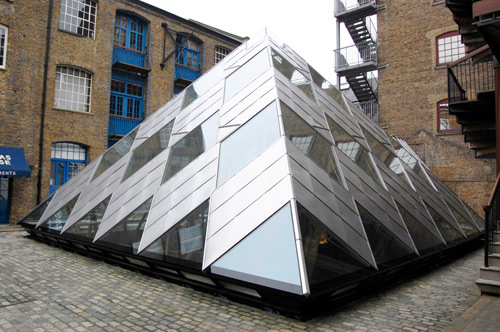 The project was for the new head office for the practice in a dynamic pyramid in the heart of London. 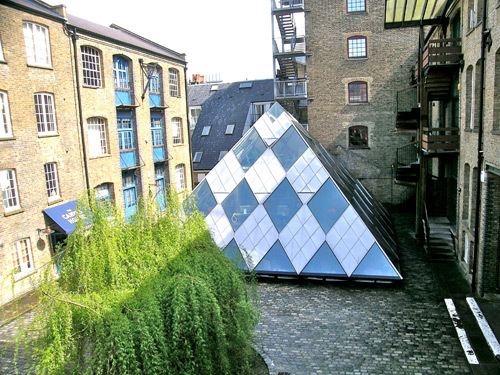 Oakley Interiors were involved from the outset in the construction of the pyramid, building the structural floors, acoustic panelling, staircases and the internal raised floors. 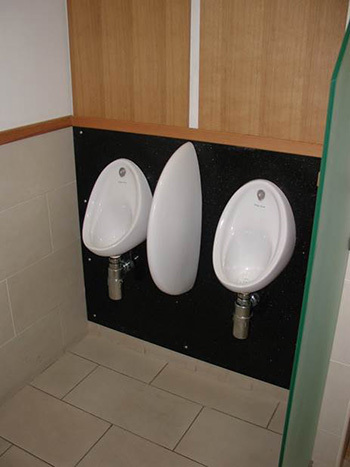 This naturally followed through to the base build fit out, which included the WCs and kitchen. Due to the shape of the building, standard furniture would have either wasted space or not fitted neatly, so bespoke furniture was made throughout. 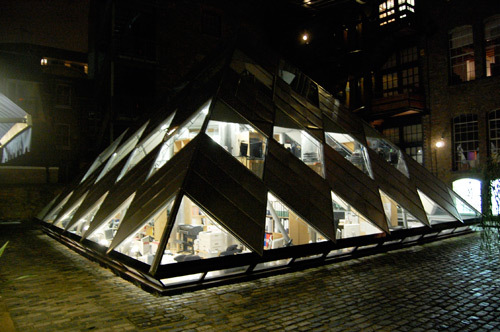 The design was kept clean with hidden power and data to get the full effect of the architectural concept. Nedstat is a leading website statistics provider. 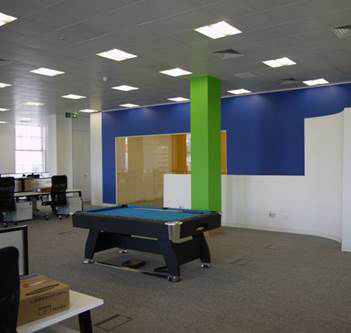 Nedstat had outgrown their existing serviced office space and were looking for their own purpose specific Headquarters in Central London to accommodate further growth. They wanted a facility which would elevate their image within the marketplace, support their unique functional requirements, industry culture and enable them to entertain and present to clients. 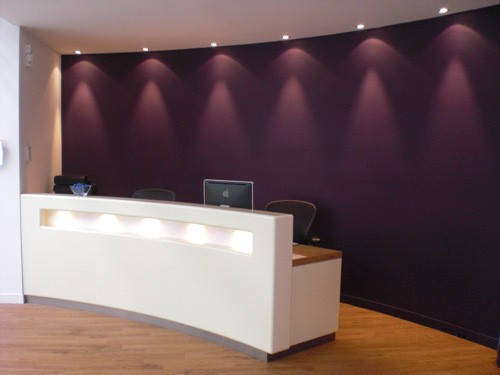 As the chosen building already had a quality serviced reception facility, a striking foyer was created to immediately reinforce brand whilst welcoming visitors onto their floor. 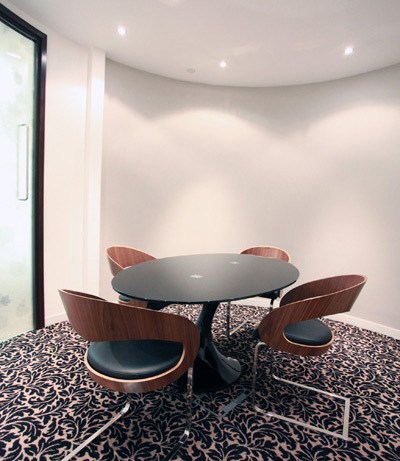 A segregated client suite was created off this foyer to enable a smooth transition into presentation, meeting room, function and kitchen facilities. 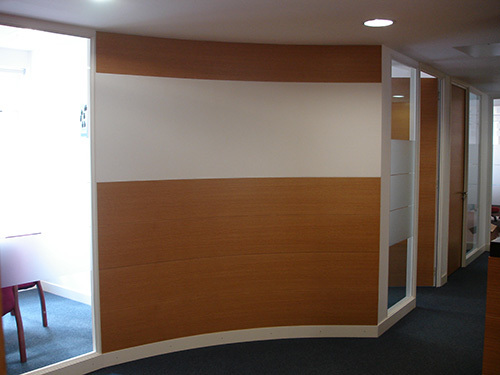 The main working area incorporated a work wall with hidden doors into the support areas for the open plan. 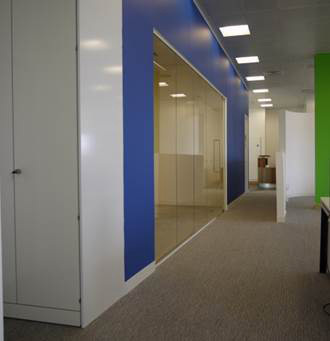 To facilitate vertical plan reference and creative drawing, a magnetic, dry –wipe wall covering was used throughout the space to optimise space and support team collaboration. 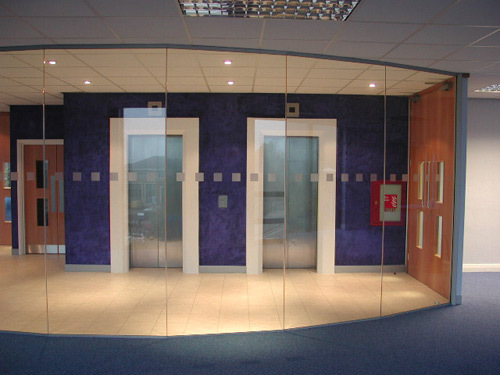 To maximise an open-plan feel whilst retaining some managerial privacy, full height glass sections were installed. 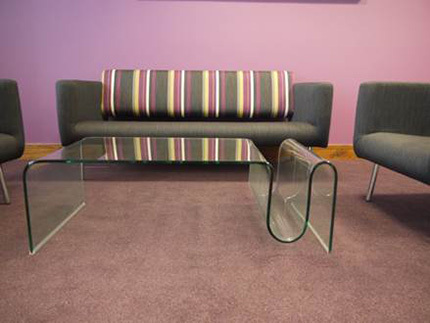 A modern and flexible furniture system was procured to reinforce the rectilinear theme and support IT requirements. 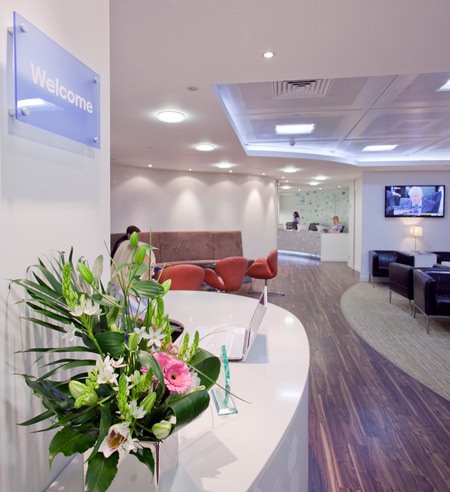 The Dental Surgery has grown into the largest private practice in the UK and as such wanted to have a presence to reflect their leading approach to dental and patient treatment. 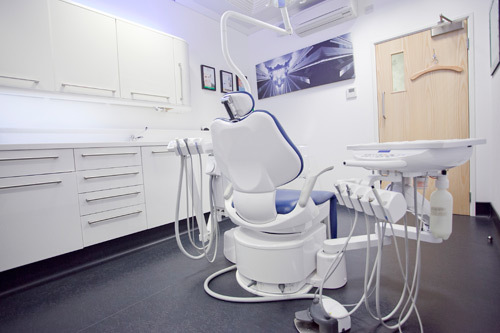 Over 120 procedures are undertaken every day, so it is important to make sure the patient is taken in hand as soon as they enter the practice. 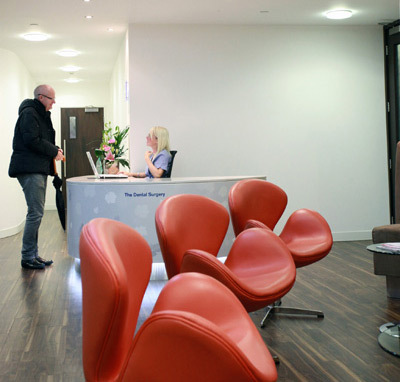 With time generally of paramount importance, the patient experience starts from the outset. 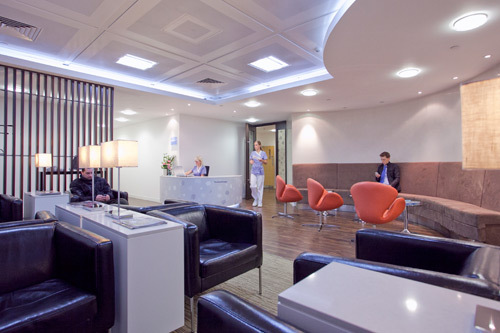 A reception is manned and a booking in system alerts the dentist to the patient arrival, after which they are seated in the waiting area. 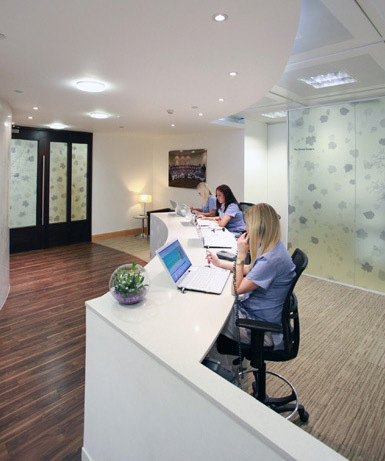 State of the art technology is used in all the rooms, fully supported by a bespoke designed cleaning facility. 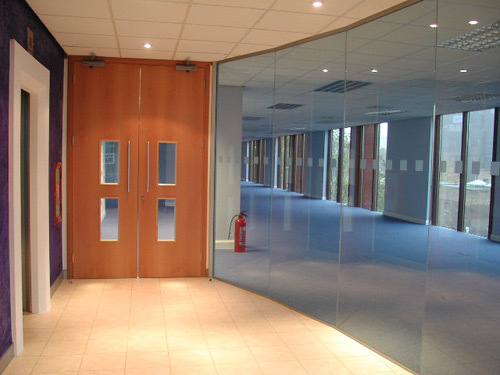 As the practice is situated in an office building, Oakley was also responsible for fulfilling the landlord requirements as well as the local authority building and fire control. 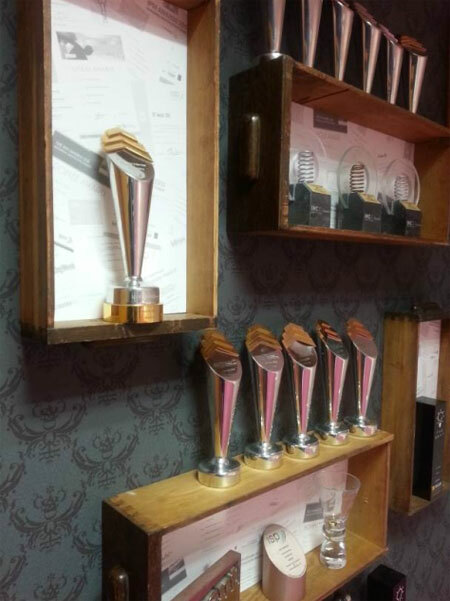 Oakley is proud to be associated ‘The Dental Surgery’ and helping in some small way towards their award. Double Negative are a leading computer image generator. 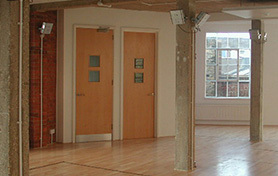 Oakley Interiors were asked to create a new interior, which was a working environment for the developers. The design was very much for the staff as the company was about the graphic presentation. 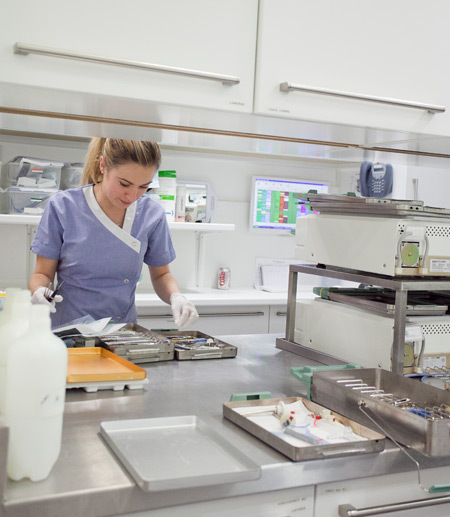 This was broken down into two halves – the technology infrastructure and the support of the staff. The infrastructure included new dedicated power and data into the building to support the huge data requirement for Double Negative. 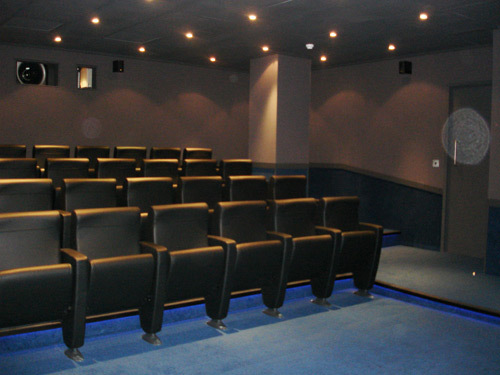 Ancillary areas included cinemas, screening rooms, 20 cabinet comms room with dedicated cooling and AV. 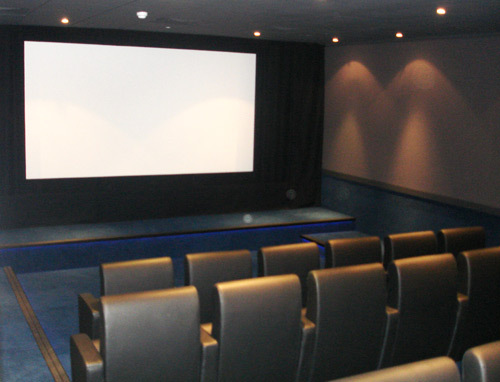 The staff had break out areas, bespoke screening furniture, gym and specialist lighting for the extended period on the PC screens. 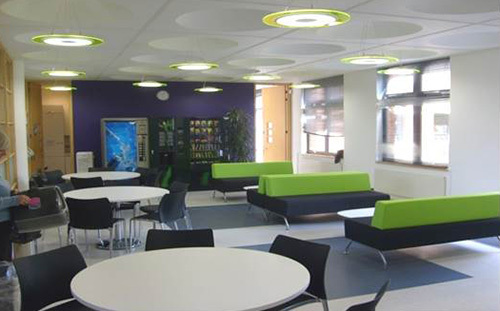 Oakley Interiors had to negotiate with the landlord and their project manager to agree a level of specification that met the original condition requirements when the lease was signed. This meant we had to balance the cost and the performance specification of the products used to the satisfaction of the professional team and the landlord. 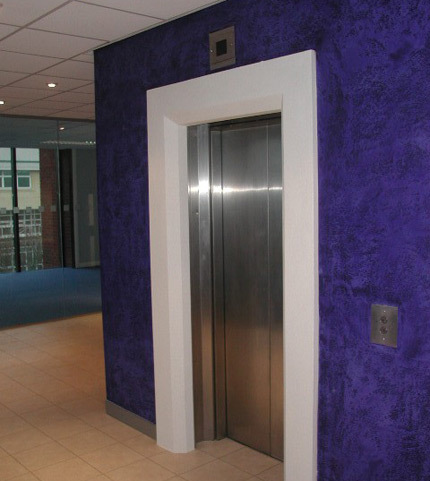 We successfully achieved the result for the sum of £14.00 psft which included new ceiling, flooring and a specialist armourcoat finish to the lobby. 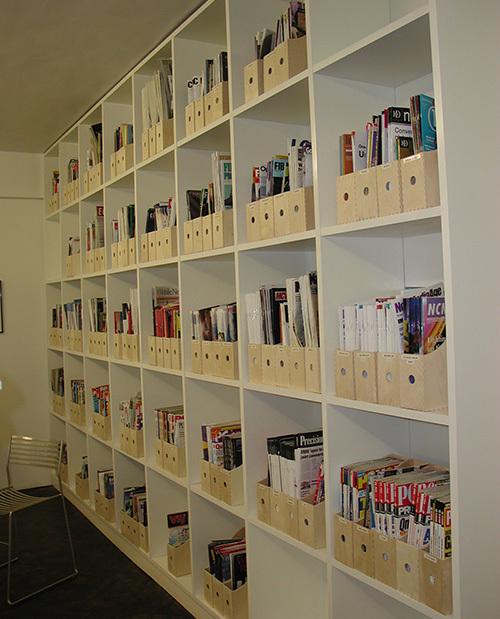 A full set of O&M manuals were prepared for the landlord ready for the new tenant to occupy the space. 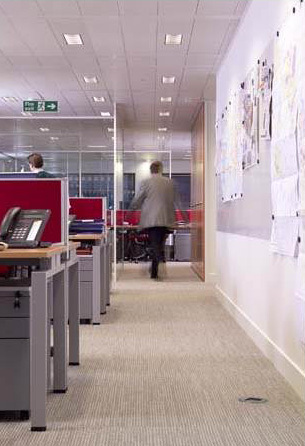 Drayton Finch are a leading Corporate and Investment Recruitment specialist. 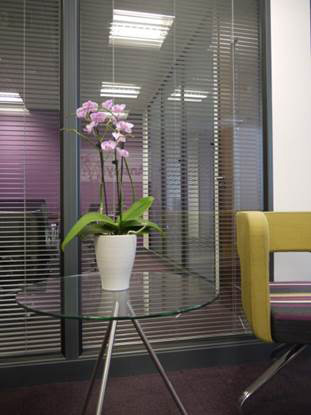 Oakley Interiors were asked to create an inspirational state-of-the-art office space, to accommodate the expansion of a global financial organisation. 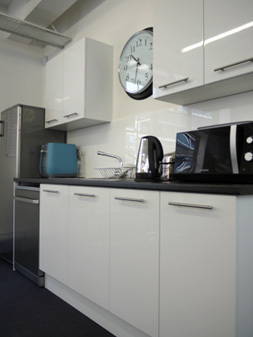 We were appointed to design, fit-out and furnish the office expansion. 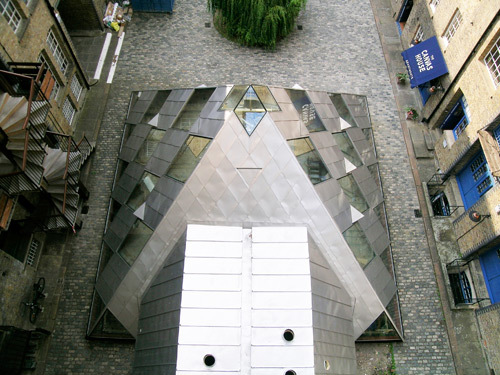 The project, for Drayton Finch at its premises on London’s Old Jewry, included an open plan floor and office suites. Additional requirements included working closely with the client, as privacy considerations were paramount due to the sensitive nature of Drayton Finch’s work. 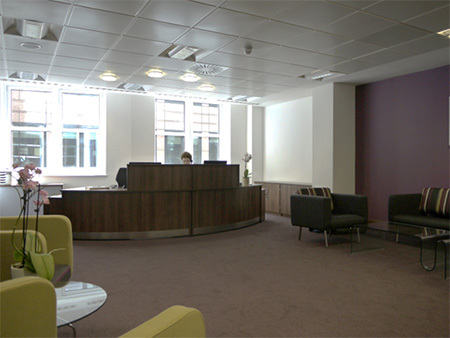 The new open plan floor was accommodated on one complete level of the building, and took into account the necessary privacy and security that the agents needed to perform their business. 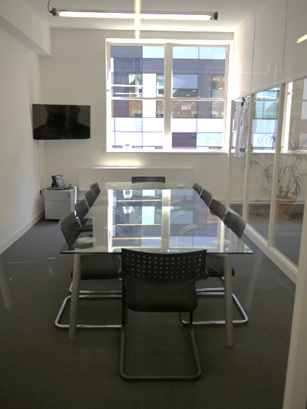 The fit-out also included a new comms room, with significant upgrades to cope with the increased trading. 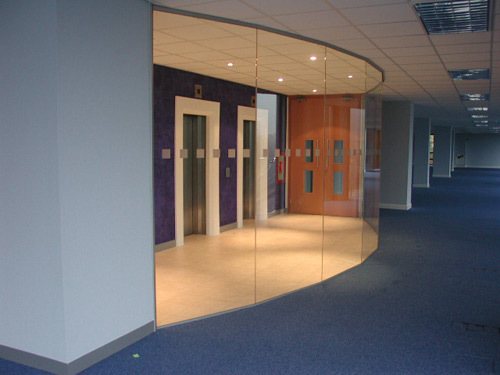 A complete new office suite including reception, meeting suite, executive and open plan offices was also created. 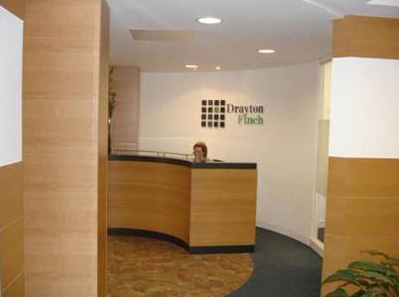 Drayton Finch has an office that reflects its status as a leading recruitment organisation. ‘I received excellent advice and assistance from a very friendly, approachable team. Communication was brilliant so we knew exactly what was happening and when – there were no surprises and any issues were quickly resolved.’ Gaynor O’Donnell, Head of Operations. 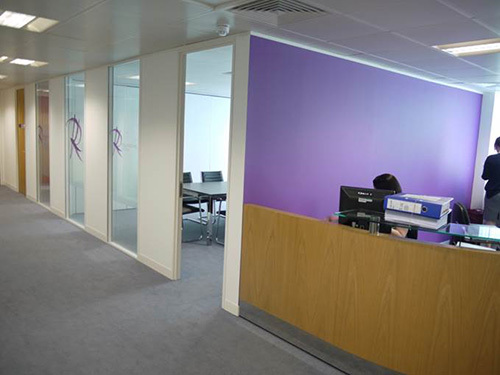 Rollingsons is a London based legal practice. 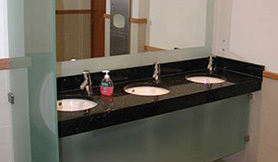 Rollingsons was established in 1996 and has seen year on year growth since its inception. 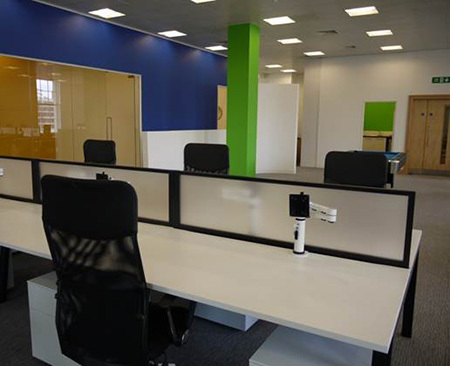 At the end of this lease , they felt it is a was good opportunity to up grade their office space and to establish their brand identity within the workplace. 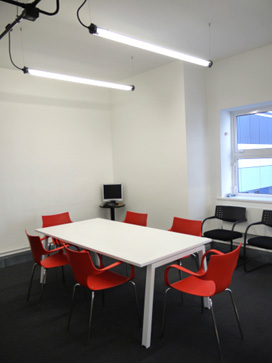 This was a 2 week fast track fit-out. 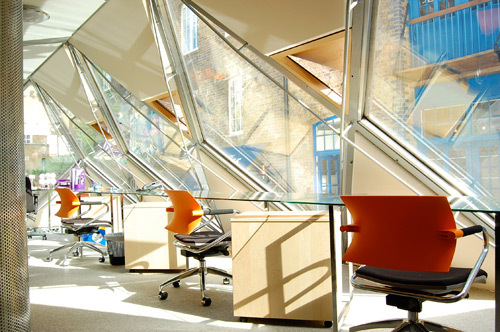 The main partners wanted to be at the centre of a vibrant office and not adhere to the traditional cellular environment. 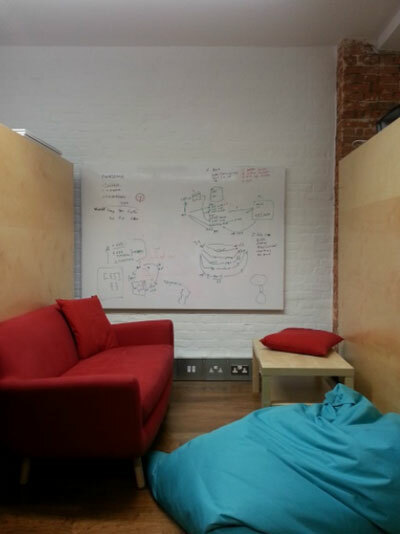 So there are only two actual self contained offices with quiet areas for the associates. 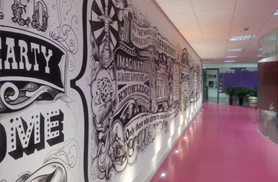 This gave an open aspect to the office for good communication throughout. 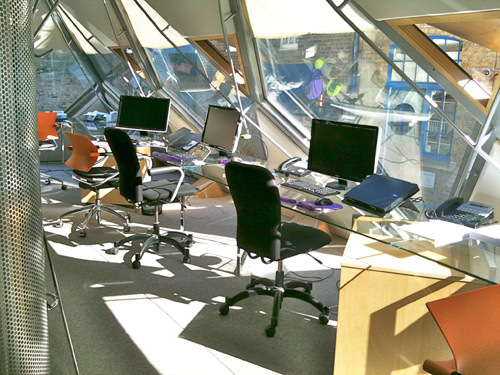 Needless to say, all the planning became very tight with the advent of delayed legals – as such we had to install the complete office within two weeks as the client had to vacate their existing office on a specified date. This was achieved with some tight planning, much to the relief of the client. 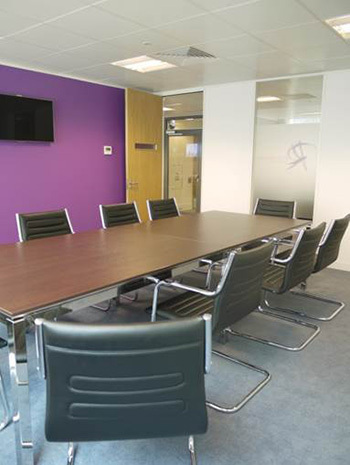 This was the second project for Anstey Horne, who wanted to move to a new office in the City of London, to cater for their expansion and to rebrand their image for their clients and staff. It was very important to have a main reception and to control visitors to Anstey Horne. Likewise, the paperwork normally associated with their work is high, which means there tends to be large amounts of files on the staff desks at any one time giving it a cluttered feel. 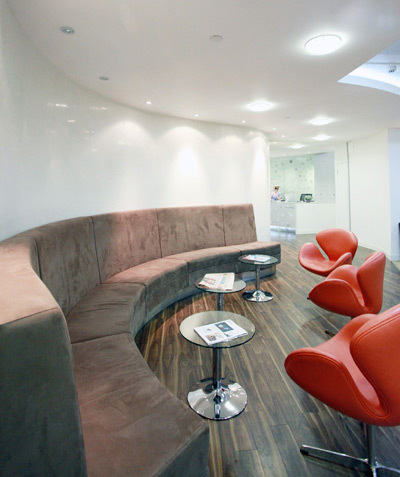 The latter would not change so we created the reception to separate the front and back of house working areas, and supplemented the open plan working areas with a good break out area so the staff did not feel ‘stranded’ at their desks. The project has been a success, with only a quick paint refresh required in 5 years. 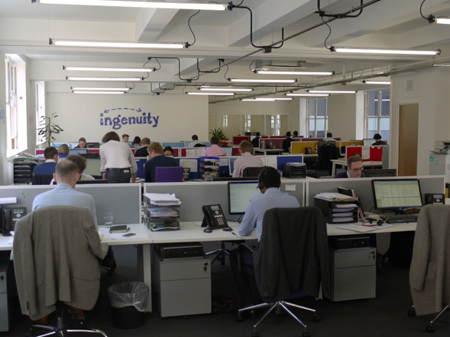 Ingenuity is a consultancy that helps agencies find clients and clients find the right agency. They are a dynamic young company, that’s leading their field. 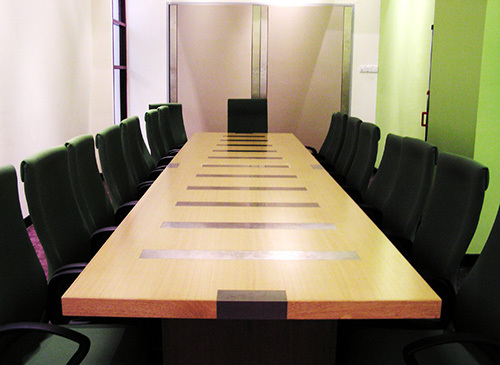 This was the second move for the company, and essential for their continued growth. 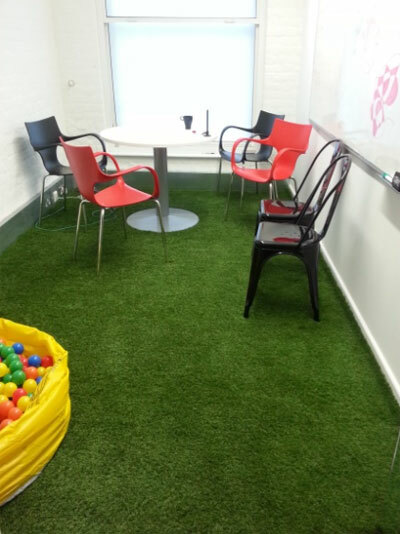 As with many growing companies, Shaun and Chris, the joint founders, wanted to make the new office space to work for them in a cost effective yet creative way. Ingenuity spends most of their time at their clients and agencies, so it was decided early on they did not want a dedicated reception. 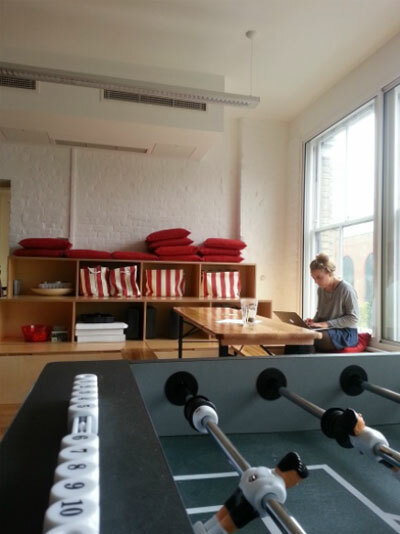 They also liked the warehouse feel of the space. This means exposed lights and AC units, which when moved can mean expensive modifications to the hide any wiring or connections. So we looked at the services and designed around them, with minor modifications to ensure they serviced the areas effectively. 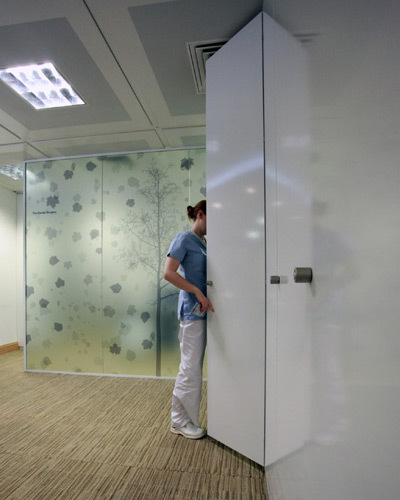 At the same time, the design provided separation from the open plan to any potential visitors, while not losing the communication for the staff, which is vital to their business. 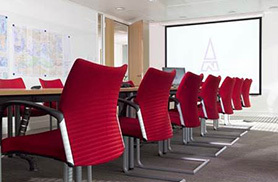 SCM World is a business information and research company specialising in supply chain management. 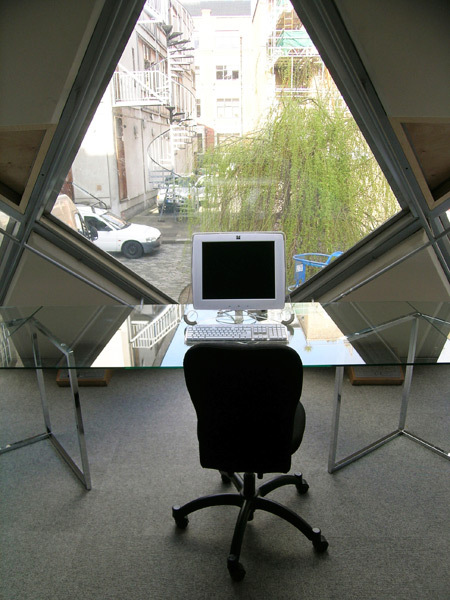 Founded in 2009, this was the first opportunity to brand a new office for the company and to inject some creativity into their work place. 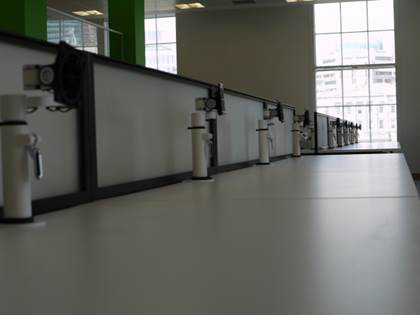 As a turnkey solution, we took on the full responsibility for the project, from the power and data infrastructure, to the build and furniture. 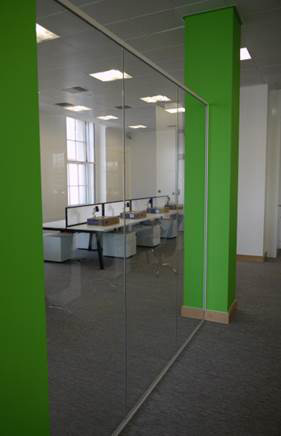 As a fast track fit out Oakley had 4 weeks to complete the project, which included dealing with the Landlord facility team during the course of the works. Weekly meetings were held with the facilities team to ensure we fully complied with their building rules, reconfirmed the programme of project worked around the existing tenants and all precautions were being taken to protect the building fabric and operation. 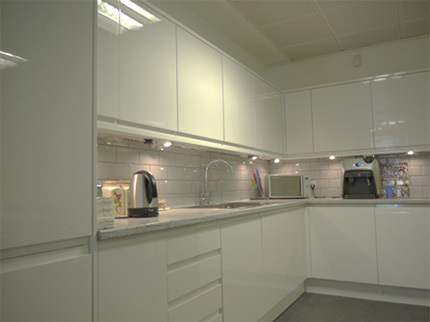 Our team kept the landlord fully informed and the fit out was completed on time and on budget. 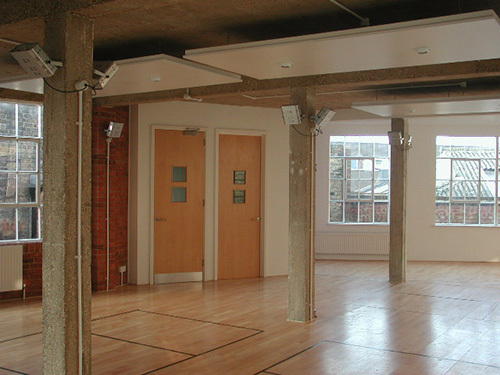 The investor originally used the space for a workshop, and with the increasing popularity of the Bermondsey area, wanted to convert the space into commercial office use. 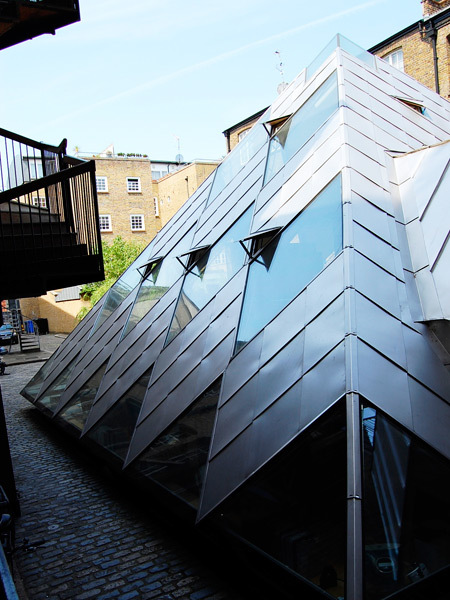 Oakley were asked to review the proposed site and to work on a specification to refurbish the space in a style to meet the local occupiers of the area, but at the same time on a budget. 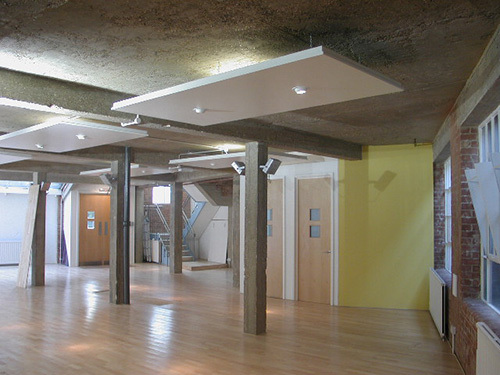 The space did not have the flexibility of raised floors or ceilings, being an old warehouse style building. 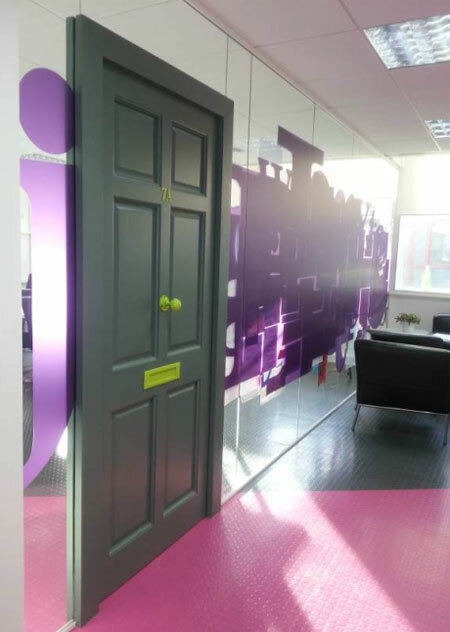 So we worked with the existing structure to highlight the character, designed features to compliment the building and also meet building control standards for office occupation. 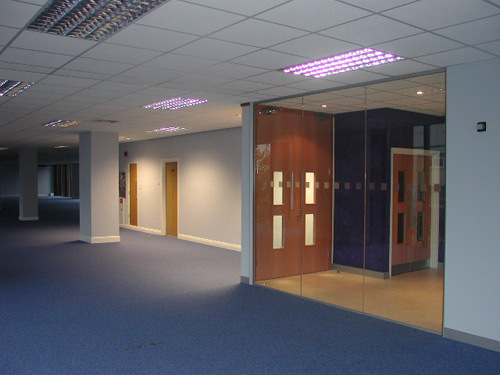 We achieved a budget of £25 per sqft to allow the investment to generate at the desired returns for the client. PNB Paribas is a world leader in global banking and financial services. 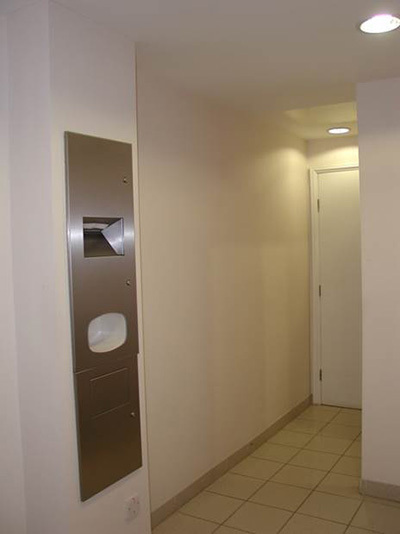 This was the refurbishment of existing toilets, totalling 11 floors over two buildings. 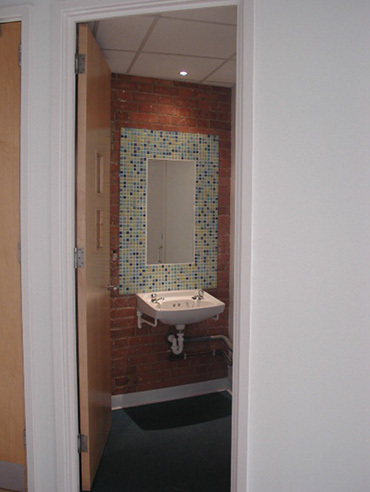 The key for the design and build project was the timing for each refurbishment. Needless to say, having a WC out of operation causes inconvenience to the staff. So Oakley interiors had a strict timeframe of three weeks per set of WCs. This was communicated to the staff and adhered to so the disruption could be planned and kept to a minimum. 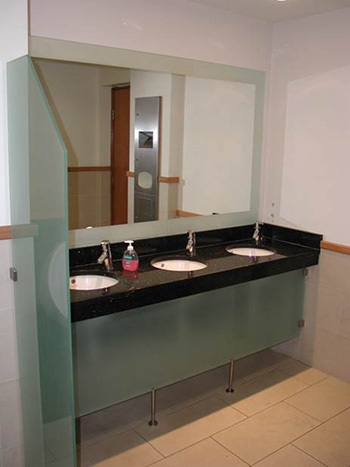 The works on site had to be carefully manned, as each working area was not large, and likewise, working in an occupied building meant special health and safety protection was implemented to protect the staff.